The goldcrest is a tiny passerine of the kinglet family and very similar to the firecrest. 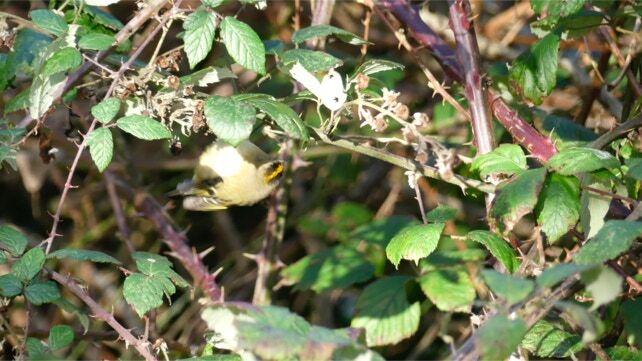 It is Britains smallest bird and can be seen from august to April. They are insectivores and eat spiders. They nest in a spherical cup made of lichen and cobwebs, moss, and hair and lay between 9 and 11 eggs. They will start a second brood before the first have fledged! They rarely stay still and are a photographers nightmare.